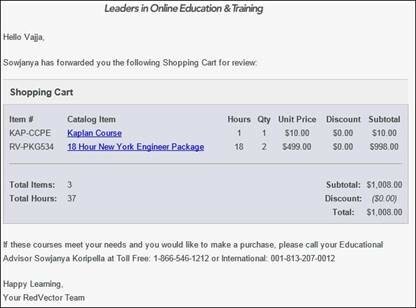 We’ve added an “Email Cart” link to the RedVector shopping cart used by Individuals purchasing courses. The link can be found at the top of the cart and when clicked brings up a short form to complete. 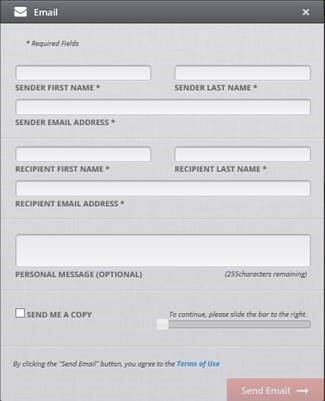 Once you’ve filled in your information, choose “Send Email” and the cart will be sent to the identified recipient. If you would like to learn more about this functionality, please contact your Educational Advisor at 1-866-546-1212.